The presents may all be opened and the eggnog finished, but there’s still much to celebrate! 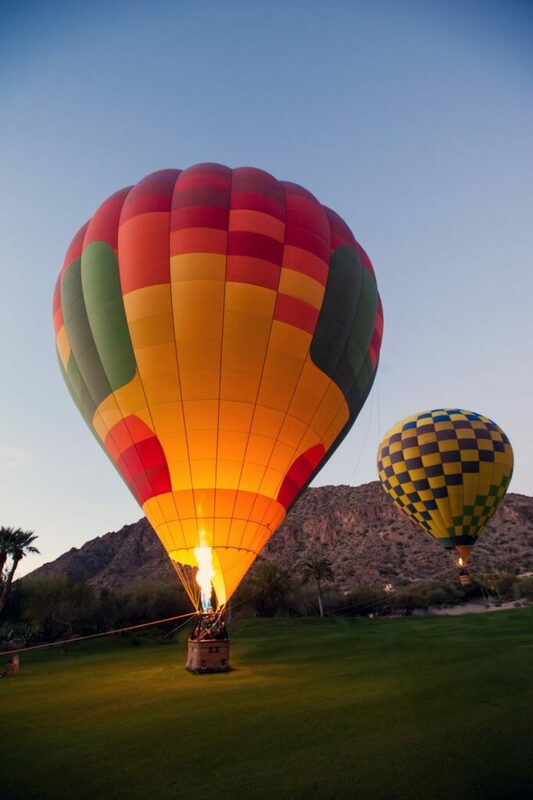 Visit the AAA Five Diamond Phoenician on Saturday, December 26, from 4 p.m. to 7 p.m. for its annual Up & Away Winter Holiday. Held on the grounds of the resort’s historic Jokake Inn, the event features a collection of offerings for the entire family. Tethered hot air balloon rides, a rock wall, face painting, glitter tattoos, cookie decorating, a human snow globe, a horse-drawn carriage and a Ferris wheel are just some of the activities to brighten the season. Dance to the music of North. Gather round for s’mores and stargazing from 6 p.m. to 7 p.m. Purchase specialties from The Phoenician’s award-winning restaurants, including J&G Steakhouse, Il Terrazzo and Relish Burger Bistro, along with temptations from the Café and Ice Cream Parlor. Movie buffs will certainly appreciate the venue. Jokake Inn was originally built as a private home in the 1920s before expanding to become one of the region’s first hotels. It went on to earn fame six decades later. Featured in the 1987 comedy Raising Arizona starring Nicolas Cage and Holly Hunter, the Adobe structure served as home to furniture store mogul Nathan Arizona, Sr. and his family. Tickets to the Up & Away Winter Holiday are just $20 per person, with children 5 years of age and younger half-price. For more information, please visit www.thephoenician.com.